We all like to visit our local casino and play our favourite games, but sometimes we can’t be bothered, sometimes we don’t have company for a casino night and sometimes we even just prefer to chill at home. That’s where live casino games online can fit in! The most popular casino games are now available to play with Live Dealers at the best UK Online Casinos. No reason to leave the comfort of your house, or spend any extra cash to get to a land based casino in order to play with live dealers. You can find the same games online with a variety of table limits and dealers to choose from depending on your bankroll and your mood. Live Roulette is a casino game that is available in all UK Online Casinos. What you might not find in all UK Live Casinos are the different versions of Roulette. European Roulette is always available but American and French Roulette are not. The main advantage for a Roulette player is that Live roulette is a casino game where there are always available tables to play, compared to card games which can sometimes be full which means you have to wait in order to take a seat. Baccarat is considered the high rollers game and is a very popular live dealer game that someone can find in every UK live casino online. Most of the casinos offer the standard Punto Banco baccarat version but other versions of the popular Asian game can be found as well. There are usually a few tables available for Live Baccarat including VIP tables in most Online Casinos. If you are a Poker lover then you definitely are also a Live Casino Holdem player. Some UK Live Casinos have live dealer tables to enjoy your favourite game and play against the casino. The excitement is the same as playing normal poker against other players since you have a live dealer in front of your screen that you have to beat! The only downside of live casino holdem is that this casino game is available only in a few UK live casinos and there is usually only one single table to play at. Another poker variation that casino players can enjoy with live dealers. Three Card Poker is a very simple and popular casino game, a poker variant that casino players love because its easy and fast paced. Live Three Card Poker also comes with a couple of side bets, Pair Plus and Six Card Bonus. Similar to Casino Holdem, live Sic Bo is a live casino game that is only available in a few UK Live Casinos and there is usually only one table to play at. Live Sic Bo is a dice game that is played with three dice and is based purely in luck. No tactics or strategy involved. It is one of the most popular casino games in Macau and is becoming more and more popular in Western countries as well mainly because of the high number of bets that are available. Live Hi Lo is one of the latest addition to the live dealer lobby’s provided by Playtech. All you have to do is guess if the next card that the live dealer will draw will be higher, lower or the same (snap) than the card that has been dealt before! This is a game that is currently been offered only by only a few online casinos and similarly to live Sic Bo there is usually only one table available. 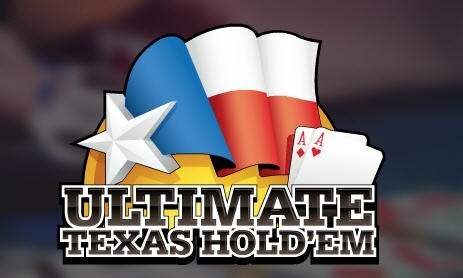 Ultimate Texas Hold’em is one of the latest live casino games online and the latest addition to the Live Poker Games section that includes also Live Caribbean Poker, Live Three Card Poker and Live Hold’em. Ultimate Texas Hold’em is the most in-demand niche table games in casinos in Las Vegas because it is a challenging and exciting game that sometimes involves some big raises. This is an Evolution Gaming game so casino players will find it only in specific online casinos that host games from that provider. Similarly to the other live poker games there is only one table available..
Live Dream Catcher is the latest live dealer game addition by Evolution gaming. This game is the online version of Wheel of Luck that we can find in many big land based casinos around the world. The TV show style live casino game is definitely here to stay as it is a very entertaining game and offers the chance for some big wins for live casino players.